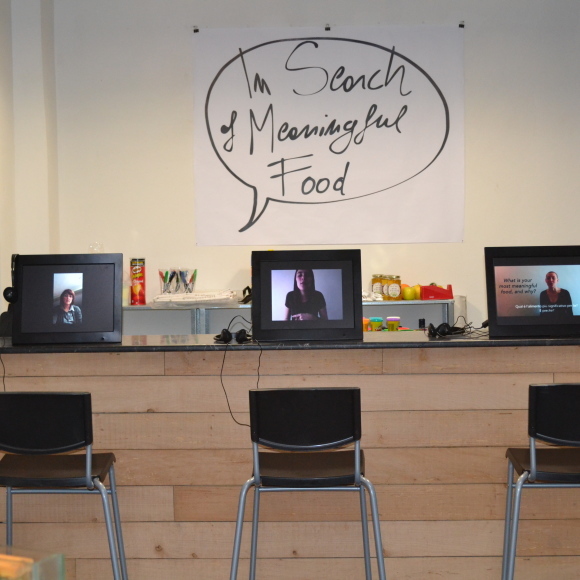 In Search of Meaningful Food is an ongoing project which has been and will be featured in different exhibitions. Below is a history of the exhibitions to date and some of those lined up for the near future. The Design To Feed The World exhibition will be opening as the final event of Cumulus Milan 2015. This exhibition is organised by Cumulus, the International Association of Universities and Cumulus, the International Association of Universities and Colleges of Art, Design and Media, with Politecnico di Milano and Sapienza University of Rome. Virtually Pop is organised by The Popular Culture Association of Australia and New Zealand. The exhibition is associated with the 6th Annual Conference at the College of Creative Arts, Massey University in Wellington, New Zealand. 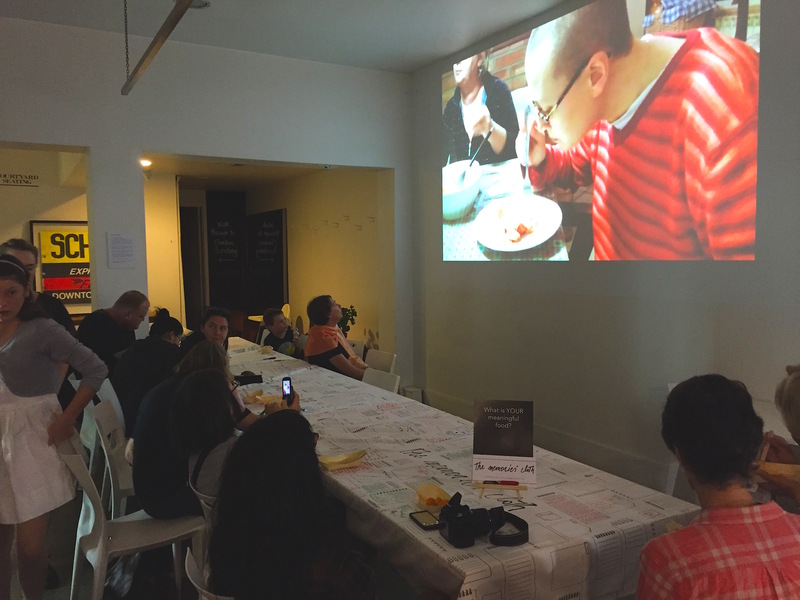 The format for this exhibition is a 90 minutes video containing some of the best Meaningful Food stories received from October 2014 to January 2014. The Taste of Meaningful Food was a performance where I showed five Meaningful Food stories, and included for the first time my very own Meaningful Food, carrots with milk, while serving these carrots with milk to the audience. Guests has the possibility to associate the flavour, smell and look of this meaningful food, to the story itself; they had a chance to connect to the story on a more intimate level and share the emotions described in the video. For me this was a way to give a piece of myself to people: every person’s Meaningful Food story is intimate and emotional, and every time we share our meaningful food with someone else we are sharing something intimate and emotional. A three weeks exhibition in which I showed a 30 minutes video with Meaningful Food stories; these stories were only in italian form participants who chose to share their video in Italian instead of english. On the closing night of the exhibition I gave a presentation on the project and shared some of the insight that emerged from analysing the videos collected.